Click Settings (the gear icon), then look for OAuth Applications in the left menu. Select Register new application. Hi! 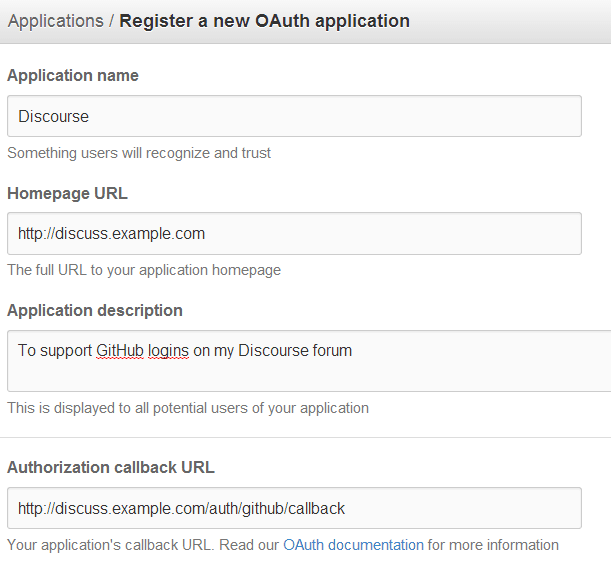 I’d like to know if it’s possible to configure GitHub login on Discourse such that it’s not done in a popup window but rather in the main browser window? Thanks!